Geek: Of all of the early Valiant heroes, in spite of the supernatural elements around him, Jack was still a very street level kind of character. To what extent will the new Shadowman embody that? Zircher: Less street. Even in his appearance we’ve moved away from a leather jacket for a costume. Fantastic things happen to Jack, crazy, powerful forces come into play. Geek: Jack Boniface was also a really idiosyncratic character at the time–a jazz saxophonist who really would have rather not bothered with the whole dark vigilante thing. Are you looking to bring back some of that ambivalence to the character? Zircher: Not quite. In the classic series, it took Jack a long time to get the head of steam that made him feel being Shadowman mattered to him. Becoming Shadowman changes Jack’s life. He can’t ignore it. Geek: Tell us about your take on Jack Boniface. Zircher: Jack Boniface is the foundation for the series, our hero. 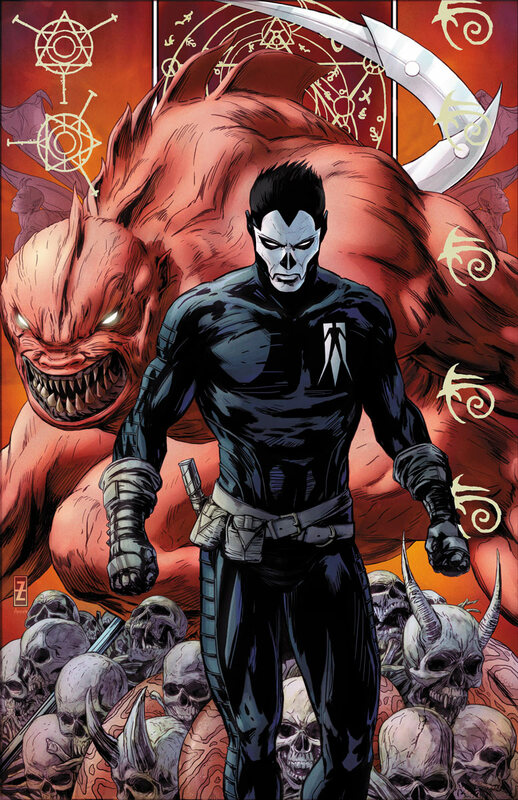 But becoming Shadowman changes everything for him. Not unlike getting bit by a radioactive spider. Geek: Could you talk about the new design of the character? What were some of the things you guys wanted to hold over from the original look? Zircher: We wanted to get closer to the early look without losing a menacing, macabre feel; that, and a guy who punches monsters in the mouth ought to have decent fighting togs. ← Walking Dead Season 3 Trailer!